Look for most current additions. 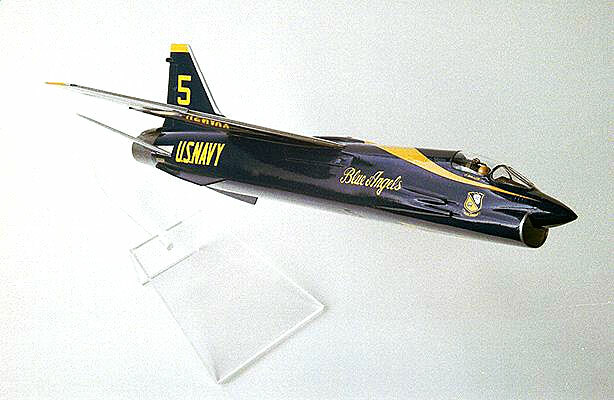 I just remember watching the full scale version of this model on final approach at Navy Dallas. It made such an impression on me as a young person. 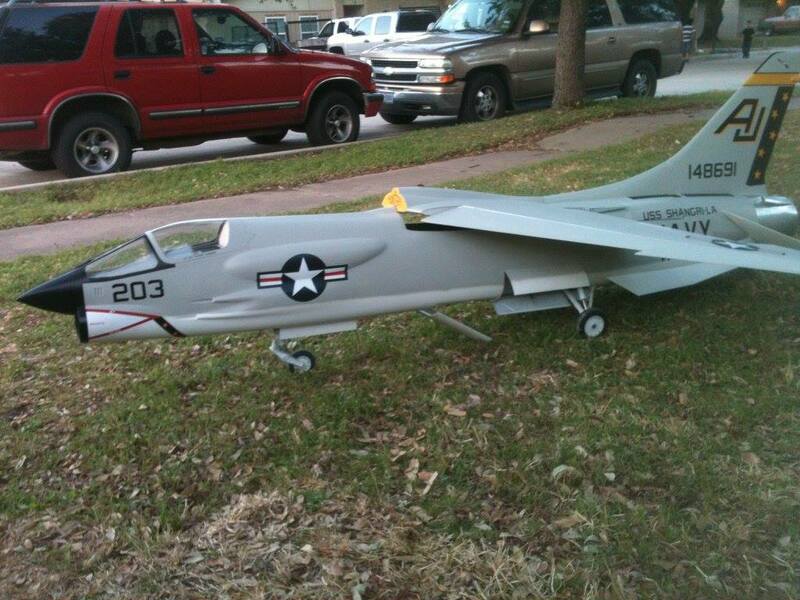 When these Crusaders I have built over the years taxi, fly, it brings me back to those early days. 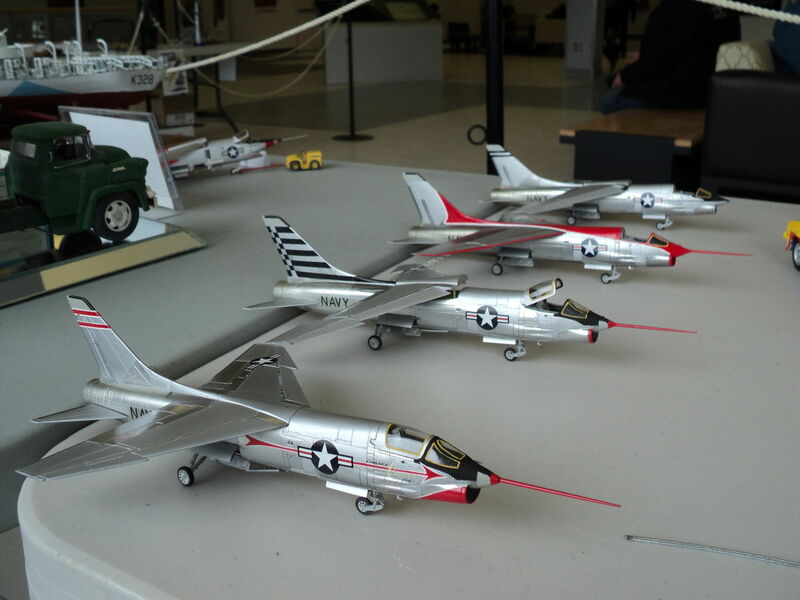 EXTERNAL LINK to DCModels Facebook Videos: DCModels Numerous Videos of Model and Flight Tests--Facebook account necessary to see videos. 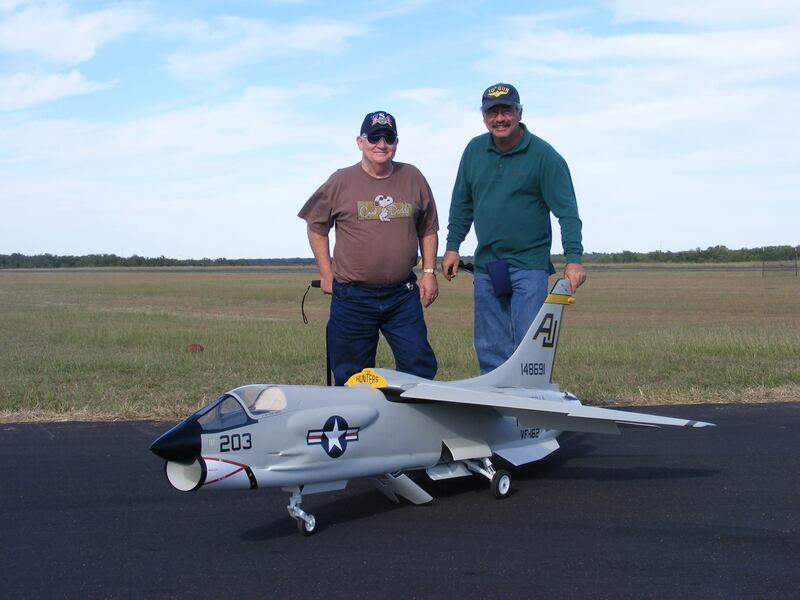 (11/1/17) EXTERNAL LINK: DCModels YouTube Videos F-8 maiden flight; tail camera view (model develops rudder flutter), and more. 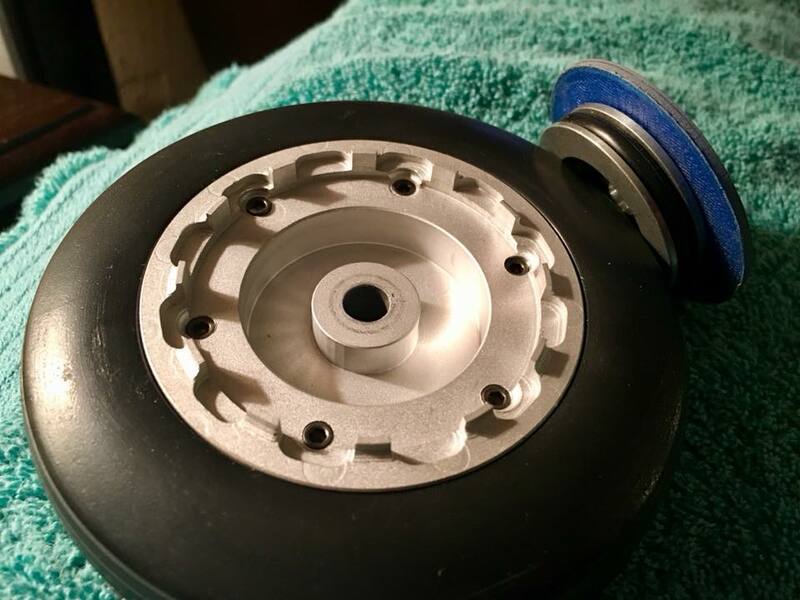 I'm installing this Kingteck 180 into the model. 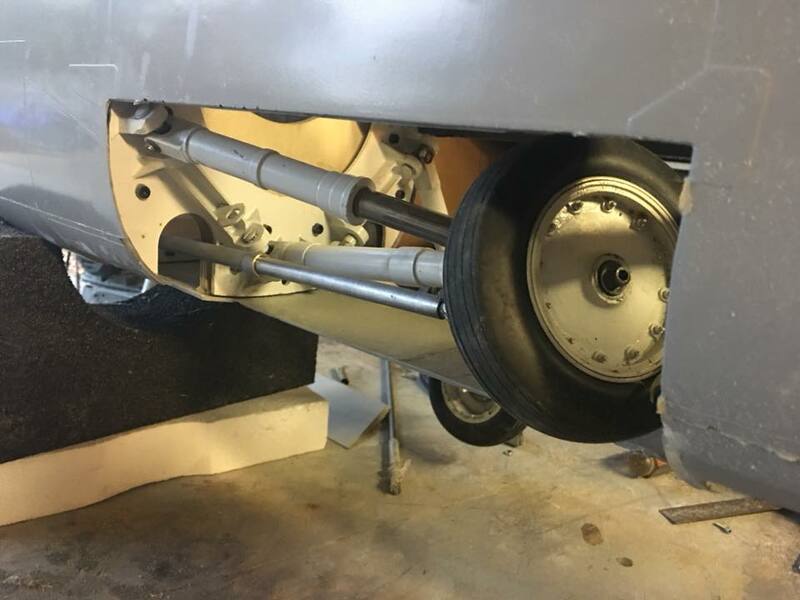 It's out in the open right now but the exhaust tube, shroud and intake liner hasn't been put in place. 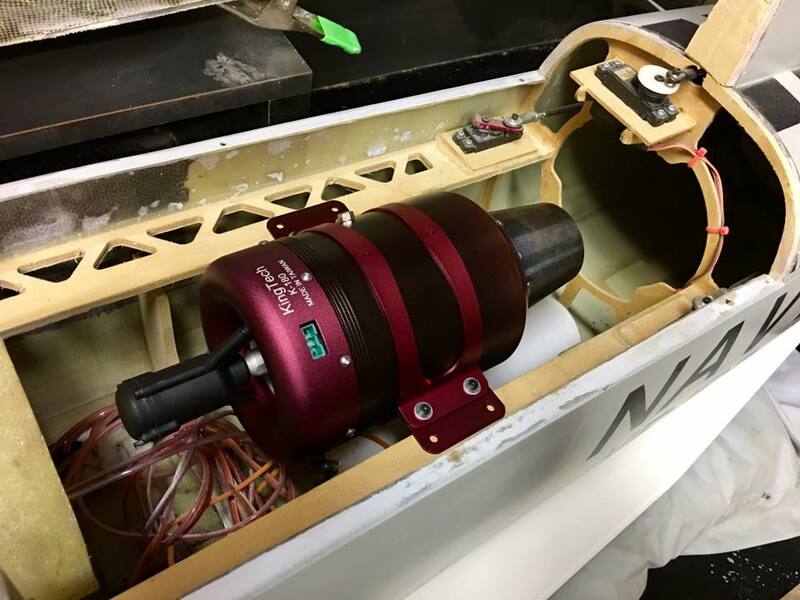 This engine produces 40 lbs of thrust. 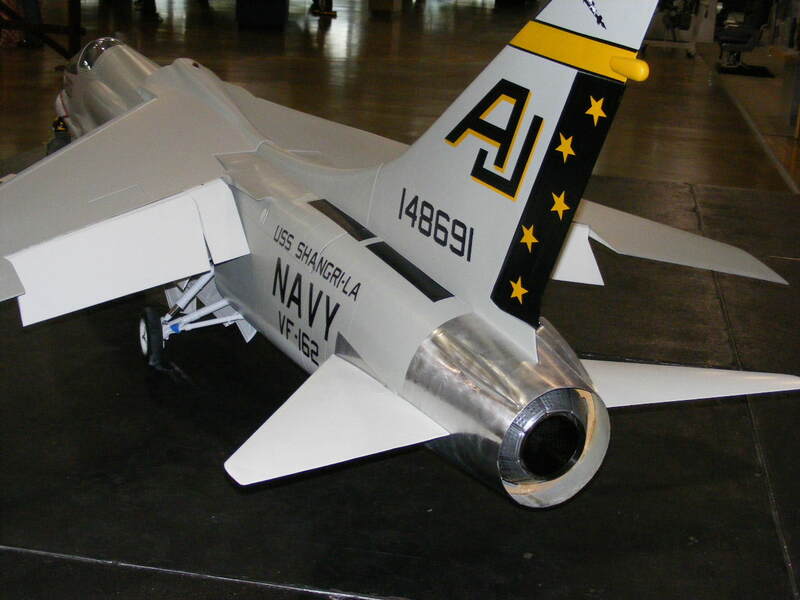 The first Crusader prototype's engine had 36 lbs of thrust so this will be an nice power upgrade. (1/18/16) I saw your article on the restoration of 145645, it was excellent. 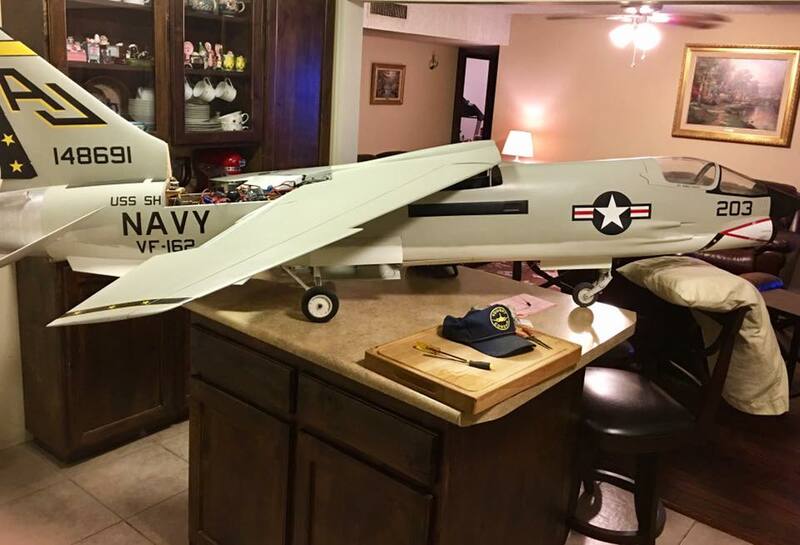 Attached are a couple pics of a model of 145645 [in VFP-63 colors] my friend Mike Wilson built several years back, I hope you enjoy them. 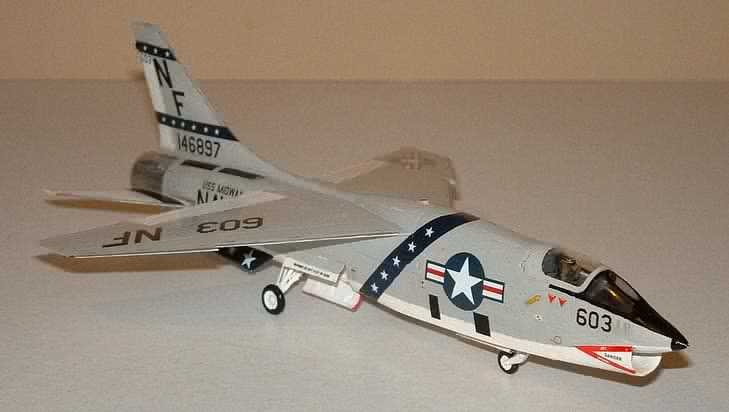 Model of the RF-8G displayed at the Smithsonian Air & Space Museum Washington, D.C.
A nice model: EXTERNAL LINK--RF-8A VFP-62 number 910 (BuNo 146871) by Mike Dudley -[Webmaster's Note: This model represents the plane flown by VFP-62 CO, Cdr. Ecker, during the Cuban Missile Crisis. 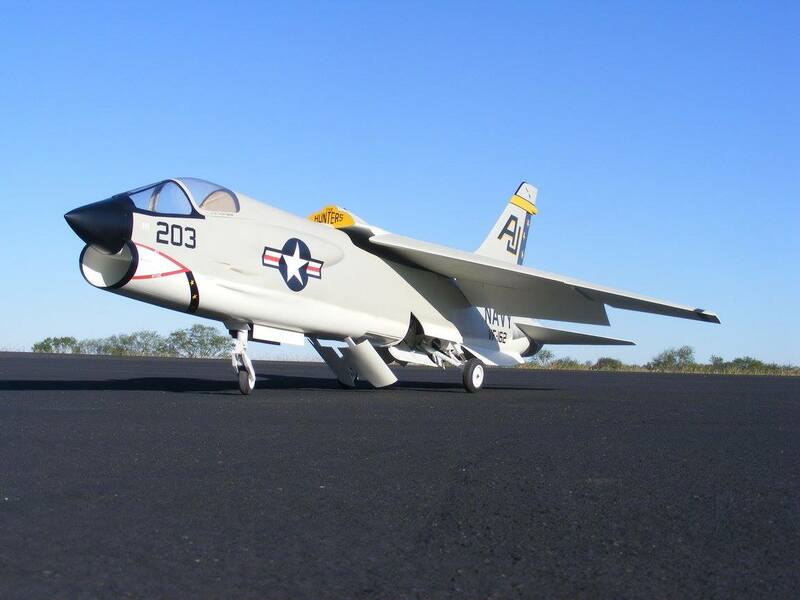 See "Cuban Missile Crisis" this site]-Contributed by J.J. McKenna. 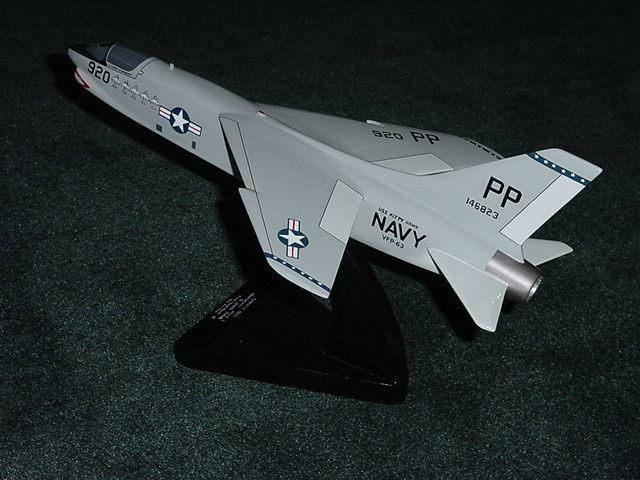 I still ended up having to do some 'cut-and-paste' with decals not found on the sheet I ordered off eBay. 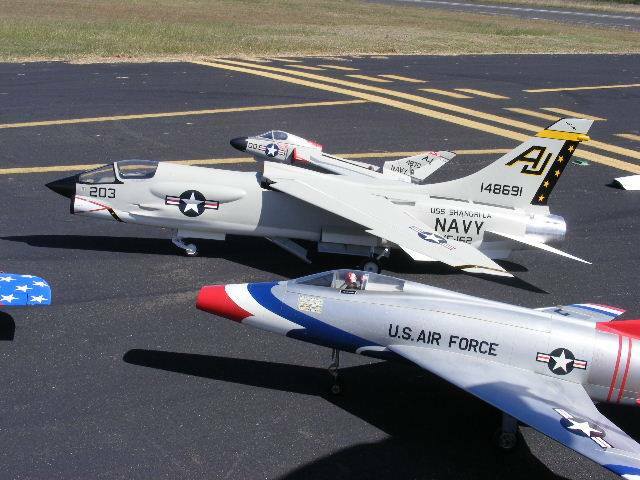 (If only that old decal sheet with VFP-62 markings was still available!!) 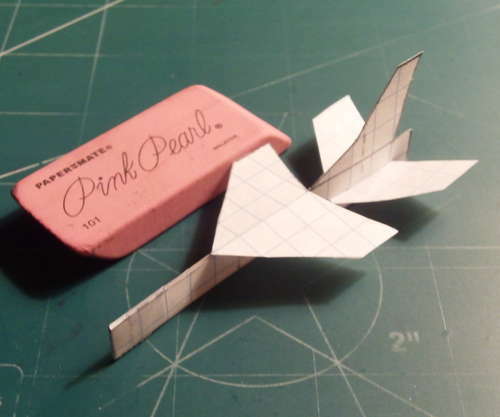 This model will be a Christmas present for Laura. Again, let me just say "Thank You" to you and to John Sees for all the assistance you have given me throughout this project. I couldn't have done it without you and this website. 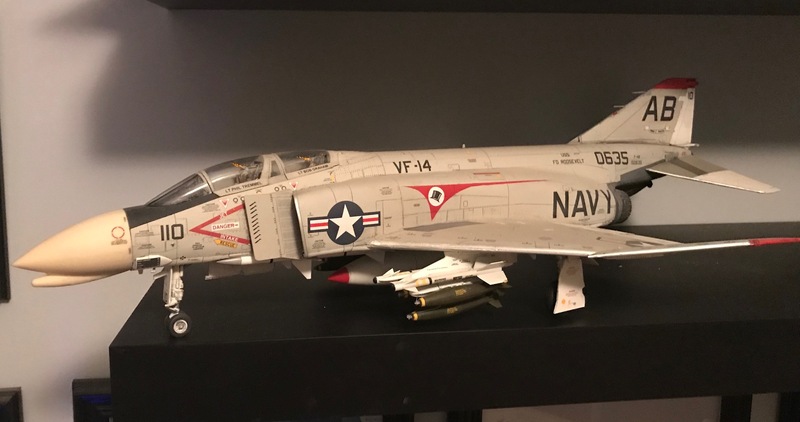 Someone did a great job on that model. 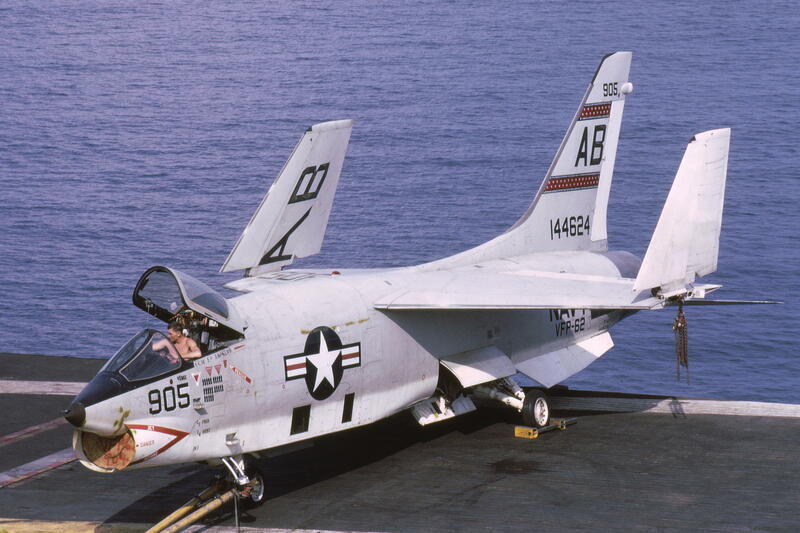 It's from VFP-63 Det 3 aboard USS MIDWAY in 1971. 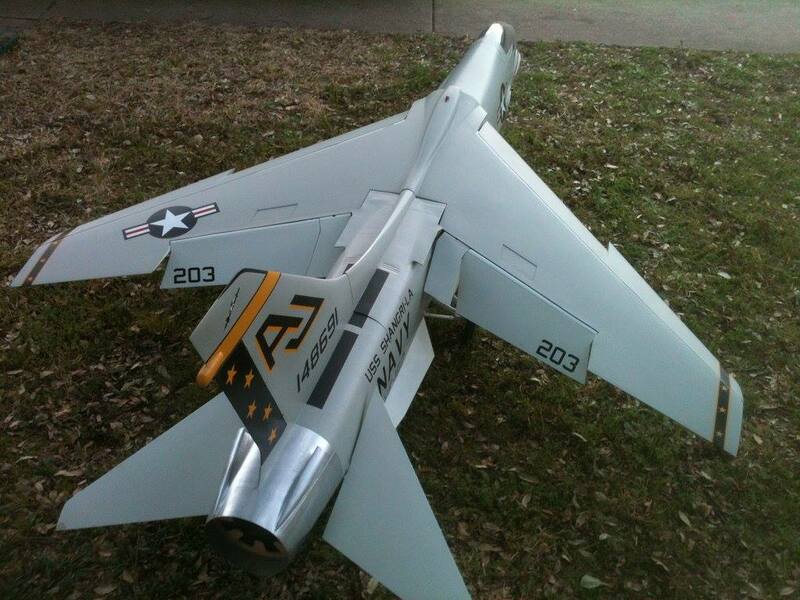 It had Lt Jerry Brown's name on one side and Lt Paul Ringwood's on the other. 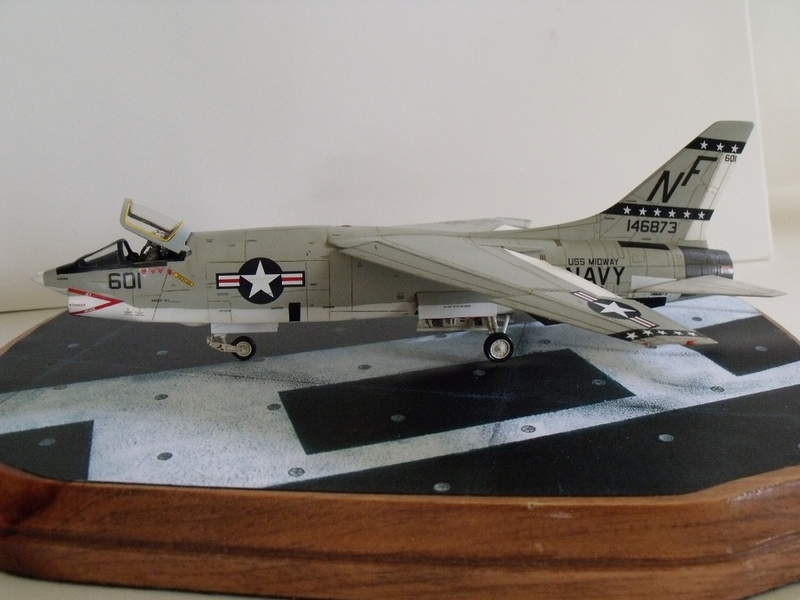 Below is one of her mates that I built when we got back from that cruise, though it's suffered the pangs and dings of a few worldwide moves since then. 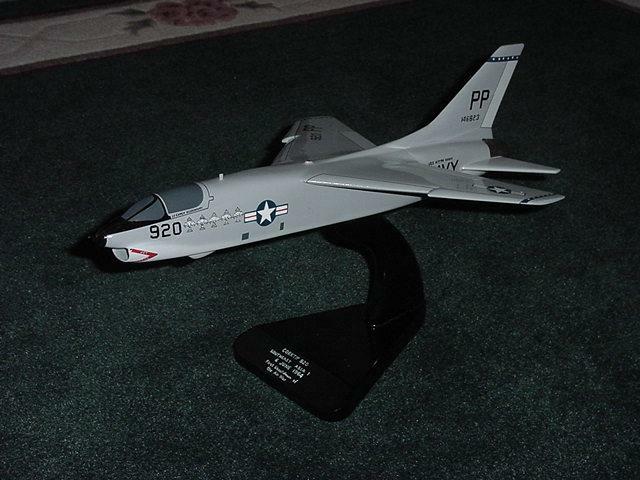 I don't remember what brand of kit it was, but I believe it was an F-8C or E and had to be sculpted into an RF8G using modeling clay. I'm gonna take it back into the barn for rework one of these days! I've got the left horizontal stab around here somewhere. 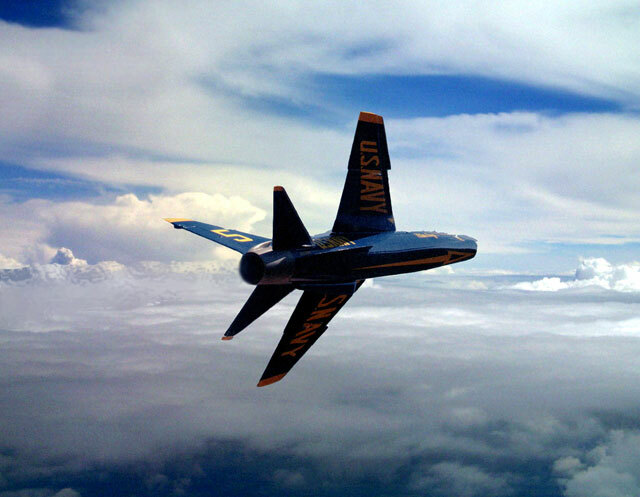 I accessed your page to check on some folks that had served in VFP-62. 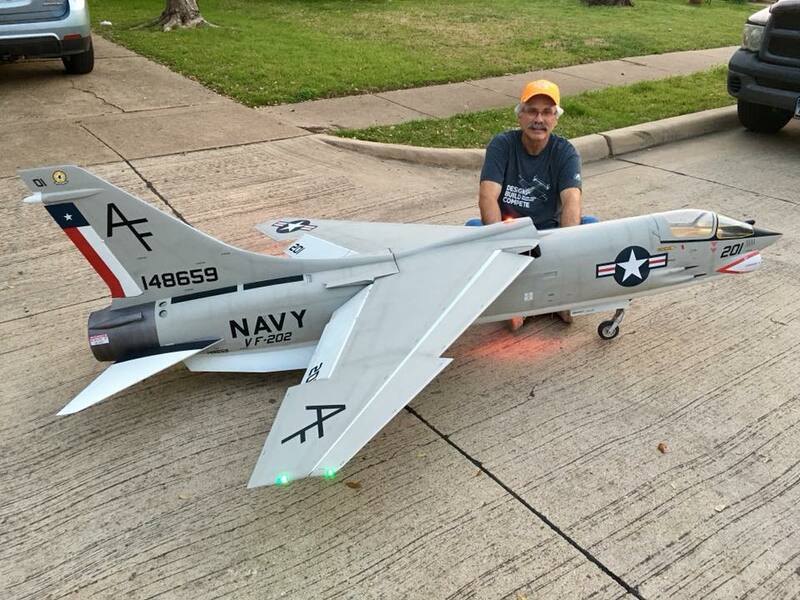 I have a model of an RF-8 that I was flying when I became the first shootdown of the Vietnam air war on 6 June 1964 over Laos. 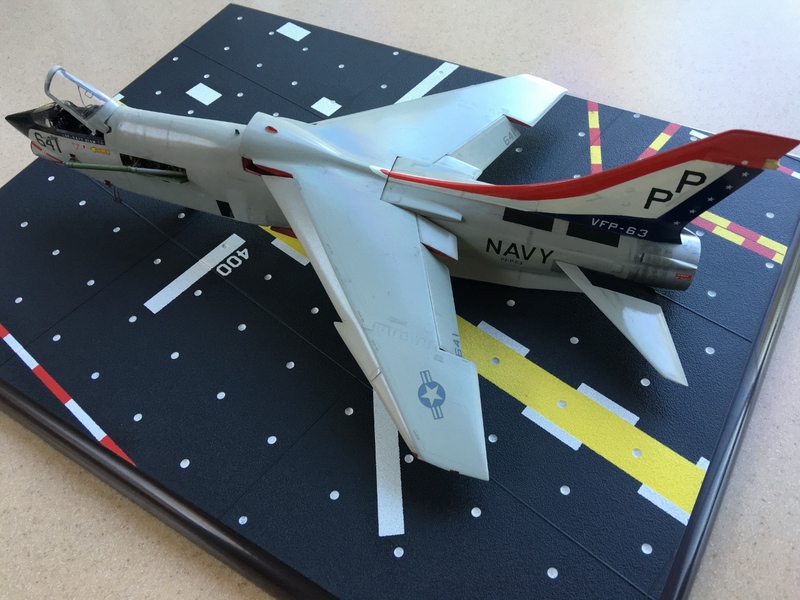 Jack Clark made my model shown below. 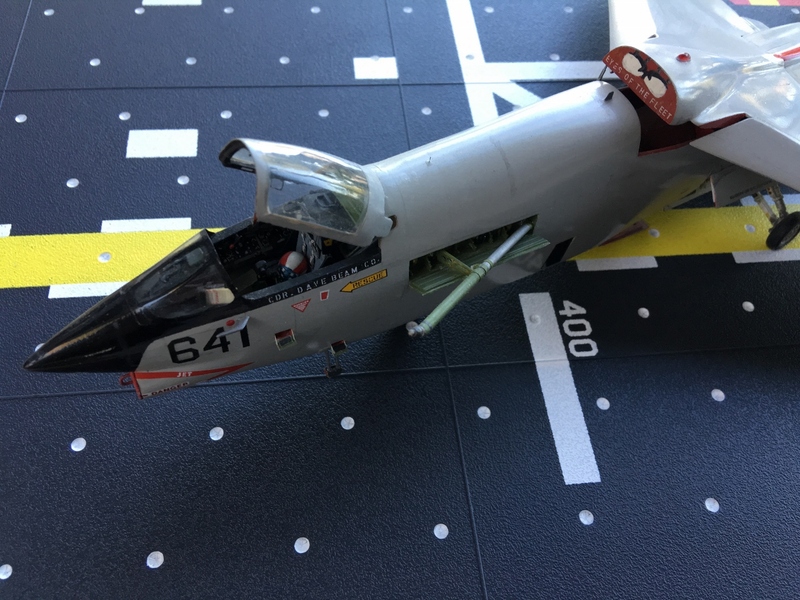 A 1/72nd scale polyurethane resin conversion kit put out by RVHP of the Czech republic converts the 1/72 Hasagawa F-8E to the RF8. 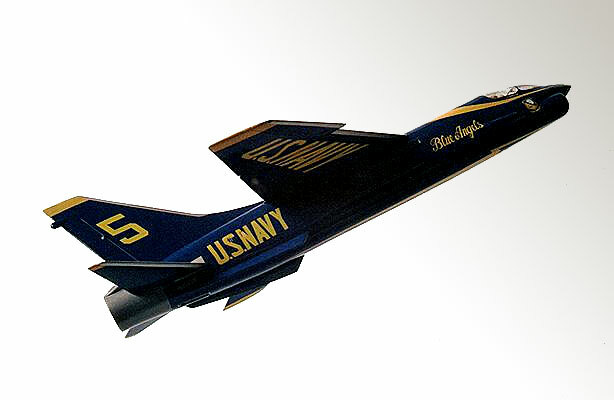 It comes with the markings for VFP-62 Bureau No. 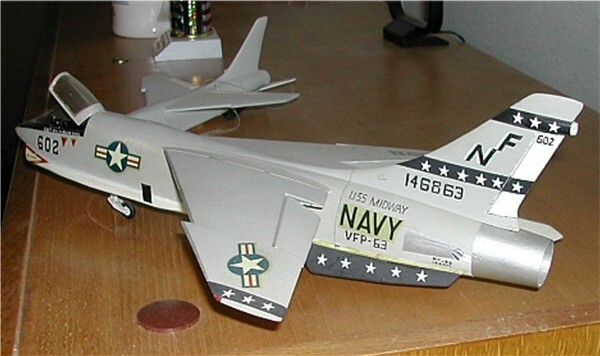 146889 USS Enterprise DET with the black pointer and green dragon painted on the sides. 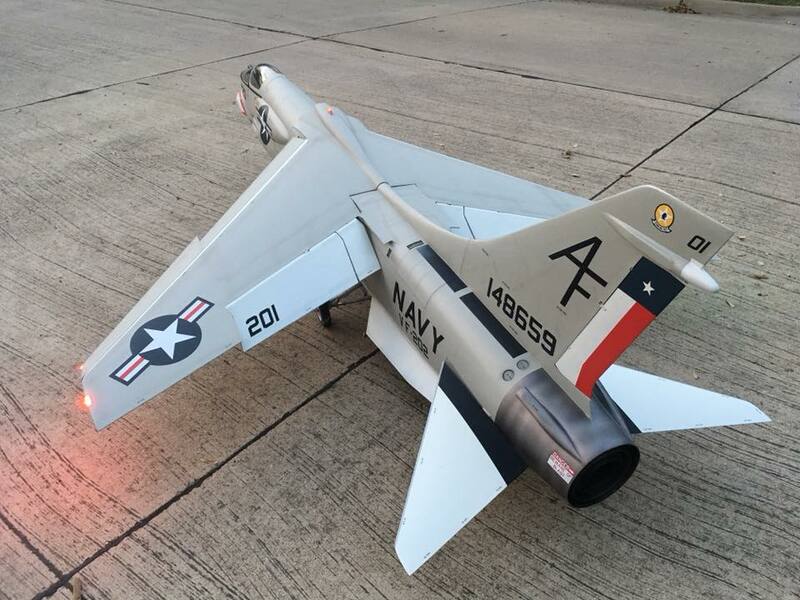 The conversion kit retails for $37.00 and it also comes in the markings of "looks around" VFP-63, you know....that other photo squadron. 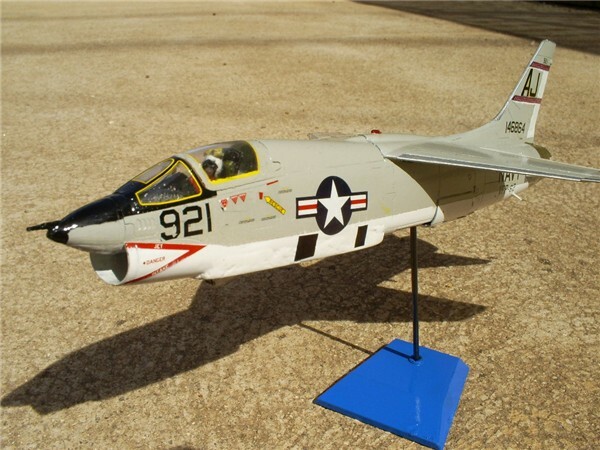 Email: sallycosma@worldnet.att.net or toysandmodels@worldnet.att.net -The model they are currently showing is the F8E Crusader. 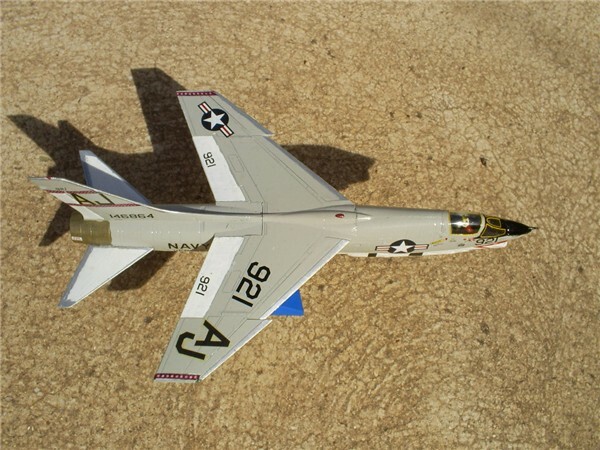 The scale is 1/48 W/S: 97/8" Length: 14" Catalog number C4648F3W. The price is $139.95, but there is a discount if you call directly. 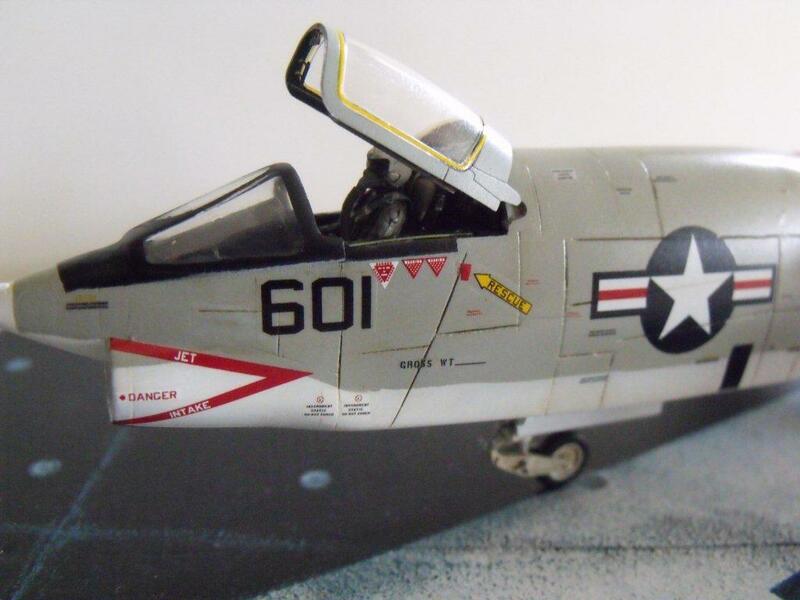 C&H Aero Miniatures also make a resin RF8 conversion kit for the 1/48 Monogram F-8E kit. 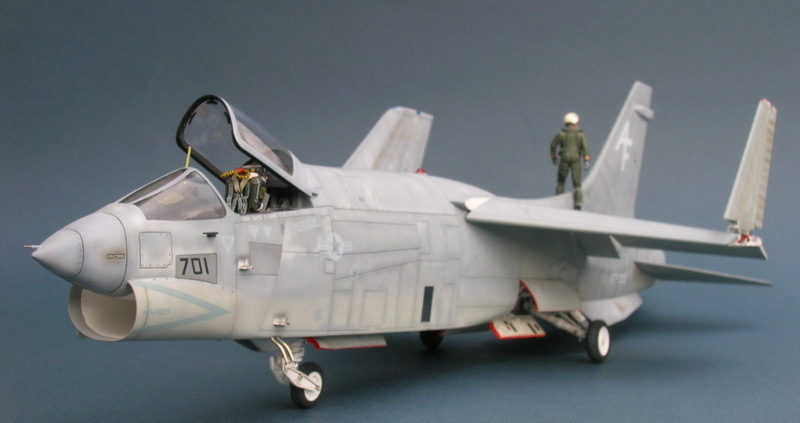 It may also work on the Hasegawa F-8E as well. 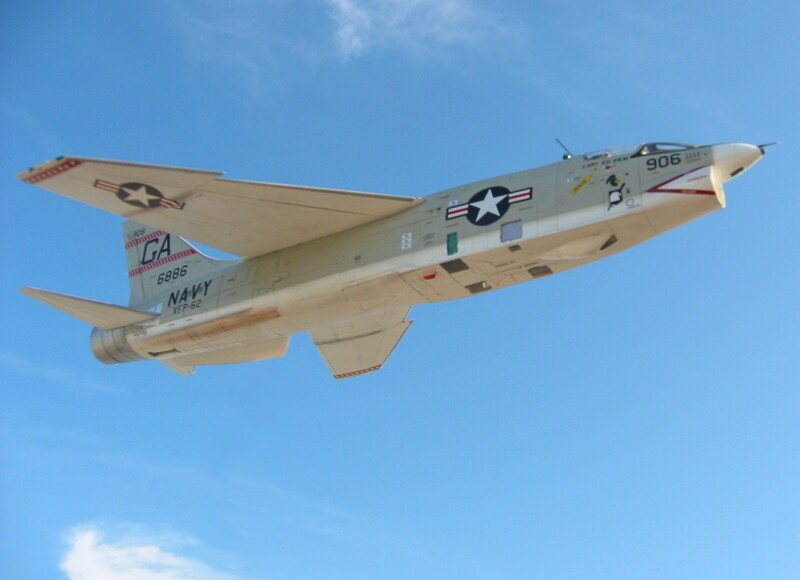 Email the -VFP-62 Webmaster to send a comment or contribution for this page.